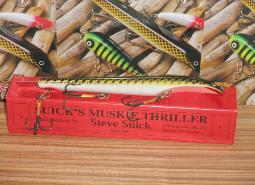 when operated correctly, resembles a wounded fish and moves in a zig zag, diving and surfacing motion. 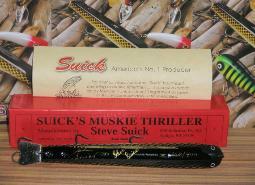 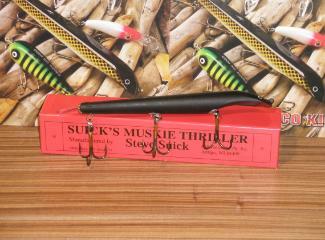 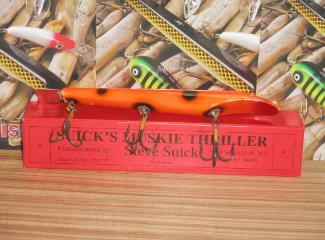 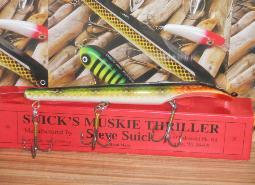 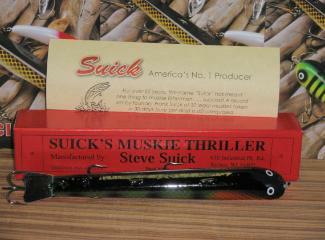 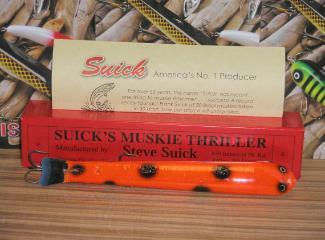 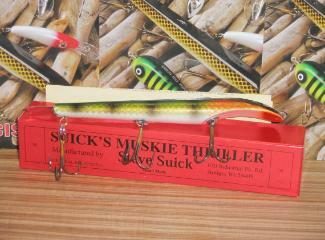 The legendary, round bellied 9 inch Suick muskie thriller complete with an old style collector's box. 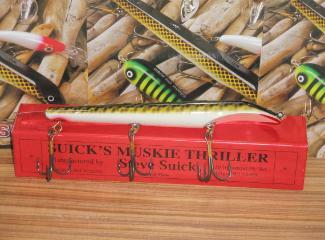 lures. 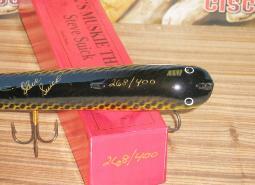 Only 400 will be issued. 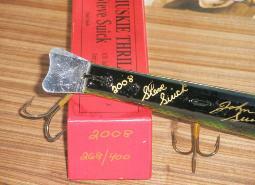 The same lure that was the cause of Grandpa's fish stories. 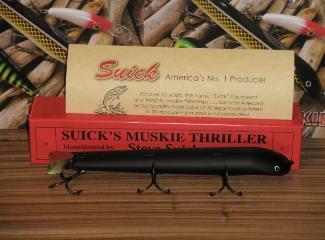 The legendary, 9 inch Suick muskie thriller complete with spring loaded sure catch hook rigging. 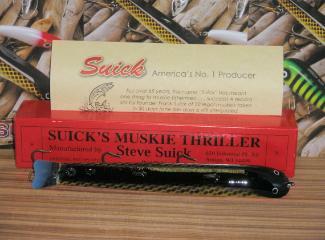 These lures are signed and numbered by John, Mike and Steve Suick. 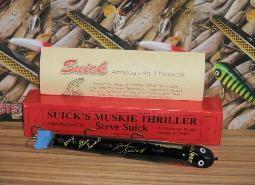 Limited to 400 lures.